The English Premier League is home to the biggest clubs and the brightest stars of world football. England’s top-flight is watched and loved by millions of people across the globe. With an estimated viewership of 4.7 billion, the Premier League is not only the most popular football league, but it is the most watched sports league in the world. The Premier League that we know today, in fact, started out in a very different manner. 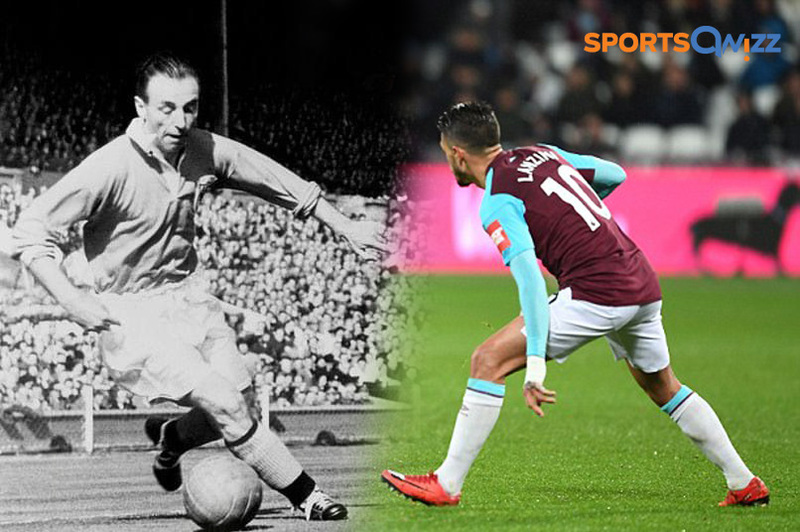 The roots of England’s top league go way back to the foundation of the beautiful game. The Football League was the precursor to the Premier League, and the former came into being through multiple clubs coming together. While it is very hard to pinpoint the beginning of English football, still two primary incidents stand out. In the late 19th century, football was played by multiple groups with different rules. While the premise of the game remained the same, foul calls, pitch standards, offside etc. differed from group to group. The Sheffield Rules, for example, included ‘offsides’ and led to the development of modern passing football. The first codified set of rules were presented by Ebenezer Cobb Morley in 1863, at the first meeting of the newly formed Football Association (FA). The FA itself was made of teams representing various parts of the country. Most notable of them were Crystal Palace FC, Crusaders FC and more. 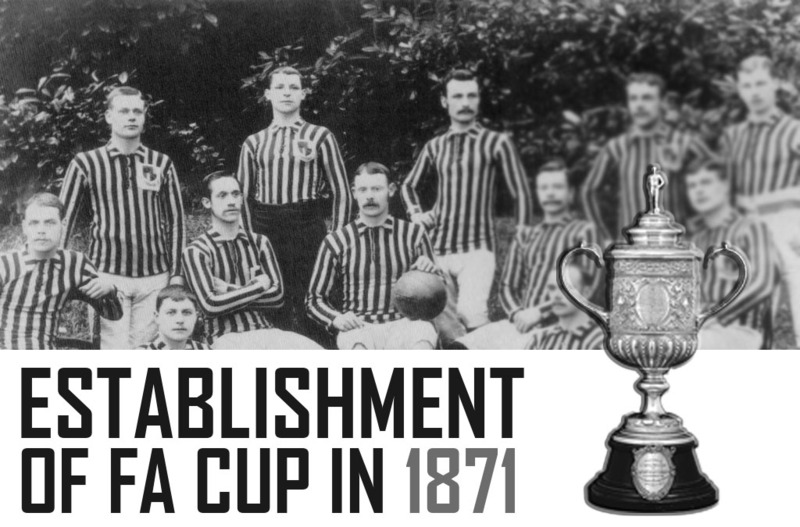 The formation of the FA also led to the establishment of the FA Cup in 1871, the first edition of which was won by Wanderers FC. Keep in mind that most of the clubs during this time prescribed to an amateur ideal, a philosophy that would all but disappear with the passage of time. While the FA was originally opposed to professionalism in football (meaning that players would be paid), it conceded and allowed professional teams into the fold in 1885. The FA Cup fixtures and ad-hoc matches between different teams was haphazard and did not provide a consistent mode of revenue. Therefore, the Football League was surmised and formed in 1888 in Manchester. The name is credited to Major William Suddell of Preston. Each team in the league played each other twice. Two points were awarded for a win, and a single point for a draw. Preston went on to win the title in its inaugural year, not losing a single game and earning the moniker of ‘The Invincibles’. Preston’s feat would be repeated in the 21st century, under a different league altogether. The newly formed league became the primary competition in the nation as teams regularly faced each other. Increasing participation also led to the addition of a second division to the league in 1891. Automatic promotion and relegation were introduced in 1898. By 1905, 20 teams contended for the title, with southern English sides like Tottenham and Arsenal joining the league. The First World War brought about a suspension to league operations from 1915-1919. This suspension was replicated during the Second World War. Herbert Chapman, legendary manager of Huddersfield Town and Arsenal in the 1920s and 1930 stamped his name in the history books, winning multiple titles with both teams. He also brought about the W-M formation, which became a staple of English football. Chapman also changed Arsenal’s name, dropping the ‘The’ present in its original name. He also had the Gillespie Road tube station renamed to ‘Arsenal’. In the mid-1900s, the Football League saw the rise to prominence of current day big clubs. Manchester United, Tottenham, Chelsea all won their first league title in the middle of the 20th century. Manchester United under Matt Busby became a force to be reckoned with. The ‘Busby Babes’ also became the first English team to win the European Cup in 1968. Another club that came to dominate English football was Liverpool. The Reds were unmatched in the 1970s and 1980s. From 1972 to 1990, Liverpool won an unprecedented 11 League Titles. The 80s, however, also saw the rise of hooliganism in English football, which became a major problem. Fanatic groups known as ‘Ultras’ started becoming increasingly violent which resulted in multiple stadium brawls. All of this during the growth of television reach and broadcasting, severely dented English football’s image. In 1991, representatives of the top five clubs of England (Manchester United, Arsenal, Liverpool, Tottenham and Everton) met with Greg Dyke of LWT. The meeting was to discuss breaking away from the Football League. Arsenal was also able to bring the FA on board with the decision, in order to gain credibility. Thus, the Premier League was established in 1992 with 22 teams from the First Division. The League was operated independently (commercial and broadcast) from the FA and adopted an egalitarian broadcast revenue sharing system. The 104-year-old League One was no longer the top flight of English football. Manchester United became the dominant force in the newly formed league. Under Sir Alex Ferguson, ‘The Red Devils’ won six titles in the 1990s, including the inaugural 1992-93 title. Their dominance was challenged by Arsenal in the late 90s and early 2000s. French manager Arsene Wenger brought in a distinctive continental gameplay that was pleasing to the eye. 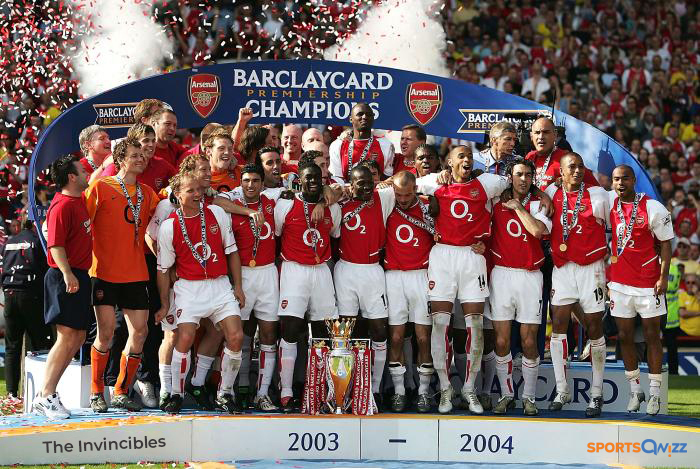 Arsenal also became the first club after Preston to win the title, going undefeated, in 2003-04. That Arsenal team was also called ‘The Invincibles’. Led by stars like Thierry Henry and Patrick Vieira, the London club regularly challenged Man Utd for the title. The Premier League also gained worldwide attention due to its extensive TV broadcast through BSkyB. Stars like David Beckham became household names throughout the world and contributed to building a global fan base. Six clubs have won the Premier League title till today- Man Utd, Chelsea, Arsenal, Man City, Blackburn and Leicester City. As mentioned before, the Premier League enjoys a worldwide fan base of over a billion people. With football becoming accessible to more and more regions, the Premier League has become the go-to league, especially for English speaking countries. The League remains competitive till date, with the Top six engaged in a tussle for the title. Even the mid-table and relegation zone sides are tough nuts to crack for the top sides. The Premier League, from its humble origins, has gone on to become a truly global phenomenon. Seeing the popularity of the Premier League, SportsQwizz, the world’s premier Sports Quizzing APP, has a dedicated category for the league. With questions ranging from top scorers to winners to records, off-field trivia and more, SportsQwizz offers the most comprehensive Premier League quiz till date. It is a must-play for anyone and everyone who loves the Premier League. If you eat, sleep and breathe the Premier League, SportsQwizz is the perfect destination for you to test your knowledge. From which league did teams break out to form the Premier League in 1992? Which was the first team to win the League One? Which team won 11 League One titles in the 1970s and 1980s? Which side won the inaugural Premier League title in 1992-93? Which side was the second to be known as ‘The Invincibles’? Liked answering these questions? Then download the SportsQwizz app and challenge your friends to see who is the Premier League Wizz! Next PostHow about testing out your Sports Trivia an Online Trivia Games Multiplayer ?